October is here and with it the season of witches and wizards as All Hallows’ Eve approaches at the end of the month. To mark the Half Term Holidays, Dundonald International Ice Bowl is hosting a Spooky Halloween Party. 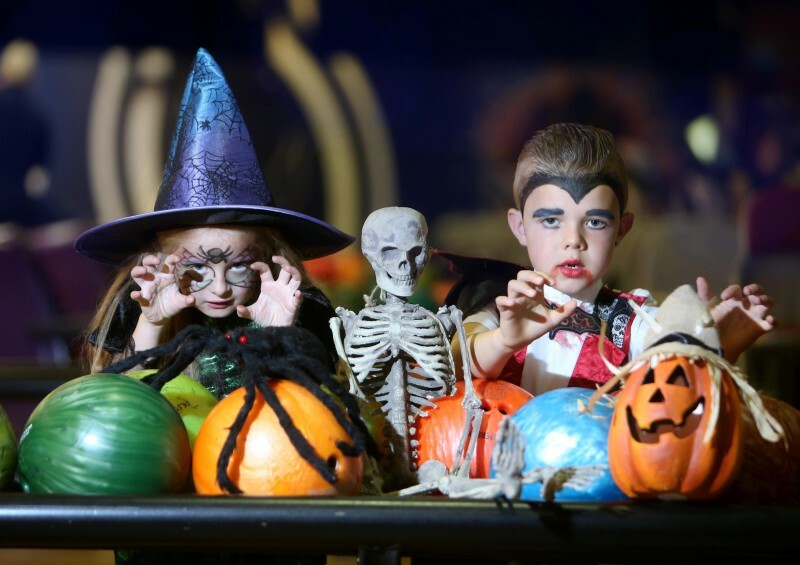 Experience a spine-chilling Halloween at Dundonald International Ice Bowl with ice skating, glow in the dark Xtreme tenpin bowling and Indiana Land playworld all under one roof on Saturday 27th October, 1.30pm – 4.30pm. For howling Halloween family fun, choose any two fangtastic activities for only £8.95pp! Plus, take advantage of the FREE fantasy face painting, spooky selfie station and devilish disco, where your little ones can be transformed into ghosts, ghouls, draculas and witches. And that’s not all…there will also be haunting Halloween characters walking around throughout the day to ‘scare’ and entertain everyone. Don’t forget to bring your little witches and wizards in fancy dress for the opportunity to receive a spooky prize! (Excludes ice skating activities). With live DJ entertainment in both the ice rink and bowling centre playing haunting Halloween music, Spooky Saturday is a great day out for the whole family! *Please be advised loose fitting clothing is not permitted on the ice. Indiana Land operates a height restriction of 5ft and an age restriction of under 12 years. For those who would like to tenpin bowl, it is recommended to pre-book your game to guarantee a lane before the event. For further information on ‘Spooky Saturday’ and activity times during the Half Term Holidays call the Event and Sales Team on 028 9080 9100/9129/9123, email icebowl@lisburncastlereagh.gov.uk, visit www.theicebowl.com and Like our page on Facebook.